Choosing the Right Herbal Tea to Ease Digestion. Editor’s Note: This website is not designed to, and should not be construed to, provide medical advice, professional diagnosis, opinion or treatment to you or any other individual, and is not intended as a substitute for medical or professional care and treatment. Gurgle, gurgle, burp. Those sounds along with bloating, gas, or even cramping are the telltale signs of indigestion. Assuming your digestive distress isn’t from some serious underlying medical condition, and your symptoms are mild or occasional, then at-home herbal solutions may be able to help. To soothe your digestion, herbal teas are a perfect remedy. They are easy to prepare and oftentimes you already have the herb (or spice) in your kitchen. Now you just need to know which one to reach for when your stomach isn’t happy. Next time your digestion isn’t cooperating, look for your symptom below and prepare a nice calming herbal infusion to help ease digestion. 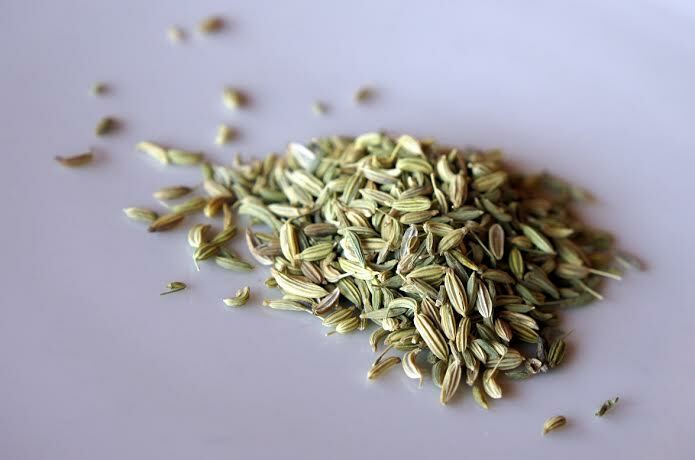 The go-to for many people suffering from bloating is fennel seeds. Grab these from the spice cabinet and throw them in a pot of simmering water for 10-15 minutes, then drink. But note, if you suffer from sensitivity to FODMaPs (fermentable carbohydrates), you might not find much relief from fennel. Another great alternative for bloating, and all types of digestive distress is mint. Mint helps to increase secretion of enzymes and bile to encourage breakdown of foods, while also acting as a calming agent. It’s a wonderful all-purpose digestive aid, and specifically to reduce bloating. Stick to no more than 1 teaspoon per cup twice a day to ensure you don’t make things worse. If you’re feeling gassy, go digging in your spice cabinet again and pull out cumin, caraway, coriander, or anise. You’ll need about 1/2 to 1 teaspoon per cup of water. If the seeds are still whole you’ll need to boil them for 10-20 minutes. If they’re already powdered, or you have a mortar and pestle (or coffee grinder), add the powder to just barely simmering water and wait about five minutes for it to infuse. Drinking the powder down together may improve their benefits. Whenever you’re using commercial spices as digestive aids, make sure they’re as fresh as possible and haven’t been sitting in your cabinet for years, as they tend to lose their healing volatile oils. When you feel like you’re going to vomit, the time-tested and research-proven remedy is ginger. Ginger is effective in reducing nausea associated with everything from pregnancy to cancer treatment and motion sickness. Fresh, dried, or powdered can be used. You’ll need more fresh than dried. You can slice fresh or grate dried ginger into a pot of boiling water. After a few minutes, shut off the heat and consider adding honey which will soften the sharpness of the ginger and also help coat the stomach lining. For dried, follow instructions for spices above listed. If you feel a burning sensation in your stomach, try to understand the reason for it: perhaps hyper-acidity? Too much alcohol? Excessive spicy food? If you suspect the burning sensation to be from inflammation, gastritis, or that hungover feeling in your stomach, reach for turmeric, a potent anti-inflammatory. Whole fresh root can be found a specialty grocers, while dried powder is in every supermarket, and dried root is usually available in herb shops. The directions for preparing turmeric are the same as those for ginger. Drink and feel better. When you’re not sure of the cause, licorice is your friend. (No, not the candy, the herb.) Licorice will soothe and coat the delicate mucosa that lines the stomach helping to protect it. It may also help reduce heartburn. Enjoy its sweet taste. The Ayurvedic blend, known as “Triphala,” is a millennial old recipe used to relieve indigestion and constipation. Traditional dosage is 3g of the powder mixed in warm water and drunk daily after dinner or before bed. A bowel movement normally occurs the next morning, or for some people in 2-3 days. Any laxative can be habit-forming, so use with care. While many of the spices listed above, including turmeric and coriander, can improve digestion, bitter is the flavor most associated with increased digestive power. Bitter tastes encourage the body to secrete more digestive enzymes, which can aid in breaking down protein and fats. When you feel abdominal spasms—more like those associated with IBS and less like period cramps—chamomile is a good choice. It relaxes the whole body as it calms muscle spasms. It may also bring on sleep, which can help ease tension in the digestive system. Because chamomile flowers are delicate, 1 teaspoon should be added to 1 cup of water after is has boiled. As with mint, it is possible to have too much of a good thing. If you feel in need of a digestive remedy, start with a little mind-body connection and try to understand what’s going on. Develop your awareness of what and how you’re feeling, then you can more appropriately choose an herb to soothe your digestion. 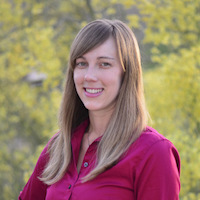 Toffler Niemuth studied traditional healing of Asia during her six years there, where she fell in love with tea and herbs. She has certificates in Chinese Medicine from Zhejiang Chinese Medicine University, and in Ayurveda from Greens’ Ayur Institute in Kerala, India. She incorporates her knowledge of traditional Eastern medicine, tea, and herbs into her wellness tea blends, namely Belight Tea. You can follow her on twitter and learn more on Facebook.